3senatè ayisien ale Benin pou envestige kijan yo trete ka zonbifikasion. COTONOU: Three senators from Haiti pause in reflection in front of a statue of their country's independence hero Toussaint Louverture in Allada, southern Benin, where he had his roots. The West African and Caribbean countries, separated by thousands of km and ocean, share the same history but also the same religion – voodoo. Jean Renel Senatus, Jean-Marie Junior Salomon and Ronald Lareche came to Benin late last month on a research trip as part of Haiti's reforms of its 19th-century penal code. Part of the process is taking advice from countries where their ancestors lived before they were shipped abroad as slaves. Historically and culturally, "Haiti and Benin are two sides of the same coin," Senatus, a lawyer and president of Haiti's Senate justice commission, told AFP. "We want to adapt these texts to modern-day life and we're here to see how Benin handles irrational phenomena in law," he said after placing flowers on Louverture's statue. Benin – giant Nigeria's tiny western neighbour – is one of the cradles of voodoo, where it is an official religion and has millions of followers. The cult of the invisible and natural spirits travelled across the Atlantic Ocean from the 18th century, as millions of West Africans were transported to the New World as slaves. The very word "voodoo" typically conjures up a raft of cliches, not least dolls covered in pins. But certain phenomena are a concern for politicians and has prompted them to wonder: how should a country legislate for crimes linked to the religion? With zombification, for example, Haitian voodoo priests are said to administer a powder to the victim giving the appearance of clinical death. The supposed deceased – exhumed with the help of an undertaker – can then be exploited in its weakened, semi-conscious state. Salomon, the vice-president of Haiti's Senate, said zombification "is the fact of being declared dead and openly buried and then 'brought back to life'. "What's different is that the person 'brought back' then works like a slave." In working class areas and remote communities in Haiti where there is no confidence in local justice, zombification is a way of settling scores with enemies. In Benin, the same method exists but for a very different purpose. "It is used by those initiated in the secret ways of the temples to strengthen their power but they keep an antidote to hand," said Honorat Aguessy, a Beninese sociologist. In Benin, "voodoo is for good"," he added. Some people in Benin still use charms to get rid of a rival – but the weapon stays largely hidden and for lack of evidence, the country has not legislated against occult practices. Traditional justice, however, still plays a big role in society through the use of traditional rulers. In Allada, the three senators met the traditional monarch, Kpodegbe Djigla. "He told us that he is asked to judge certain cases," said Senatus. Traditional rulers resolve many land disputes because they know local history. Villages have a council of sages comprising elders, community leaders and a voodoo chief. "It often deals with complaints linked to custom, for example if a widow who is not supposed to leave her house at a certain time does it anyway," said lawyer Sandrine Aholou. In her work, Aholou sees a mix of the two legal systems: "On the one hand, the civilian justice system accepts traditional justice on the other. Most of the time, decisions taken by the elders are respected, to the astonishment of the Haitian senators. For Salomon, it's a question of culture. "Here, people respect tradition," he said. Bagay ,mwen pa konprann lan bagay sa a.
Eske sa ZONBIFIKASYON gen pou we ak VODOU vre. Pou ki sa ,ou pa we FENOMEN sa a ,lan de peyi tankou KIBA ak BREZIL? Apre tou ,lan tout 19yem SYEK ,ESKLAV te kontinye ap DEBAKE lan KIBA ak BREZIL ,soti lan BENIN. Denye BATO NEGRIYE an debake lan KIBA ,an 1873. Se lan LANNE 1880s yo ke yo te ABOLI LESKLAVAY lan KIBA ak BREZIL. 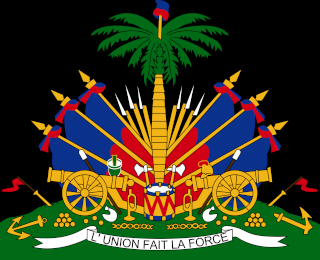 Deba sou ZONBIFIKASYON an ,merite pou l fet ann AYITI. Pwoblem lan se ke TWOP MOUN envesti lan SIPESTISYON sa yo ,ke se LEGLIZ KATOLIK sitou LEGLIZ PWOTESTAN yo ,san bliye VODOU an limenm. Pa gen anyen SIPENATIREL lan ZONBIFIKASYON,daye SIPENATIREL pa EKZISTE. Mwen kwè ke demach saa bon. Se premye fwa genyen ofisyèl ayisien ki deside envestige fenomèn zonbifikasyon an. Tout responsab te fèmen je yo pou pretann sa pa ekziste. Yon lejislasyon sou sijè saa enpòtan paske se yon krim kont limanite ki dire twò lontan lan tout enpinite. Zonbifikasyon retire lavi yon sitwayen menmsi li pa mouri toutbon, men li retire l lan anvironman fanmi l epi li tounen yon esklav. Se yon wont ke Ayiti, peyi ki aboli leskavaj, ap pratike esklavaj jounen jodya. Mwen swete ke envestigasyon serye fèt, pou detèmine responsabilite e pou mennen responsab yo devan lajistis. E ke lajistis pa kite sipèstision enfliyanse l.
Se pou sistèm saa ansanm ak restavék aboli lan sosyete ayisien. Lè saa, tout moun ka leve tèt piu yo di yo fyè kòm ayisien. Si senatè Senatus soti lan lagrandans, lan fanmi mwen sipoze an, li konnen sijè saa byen. Dapre sa m apran, lan vodou gen sèvitè men dwat ak sèvitè men gòch. Youn se houngan, lòt lan se bòkò. Se avèk rechèch serye moun kapab aprann tout istwa vodou ki pratike pa majorite ayisien. Preske tout enfòmasyon baze sou rimè ak kwayans sipèstision. Manke liv ak literati ki dwe ekri pou pèmèt tout popilasyon peyi dAyiti aprann kilti l ak relijyon l.
Pouki sa ,se lan VODOU AYISYEN an ,ke ou kontinye ap tande ke MOUN ka tounen LOUGAROU pou yo VOLE lan NWIT? Ou tande tout MOUN ap pale de LOUGAROU ann AYITI ,men pa janm gen YOUN ki konn we LOUGAROU ap VOLE vre. Se pa youn ni 2 POV MALEREZ ke yo pa LENCHE ,apre yo AKIZE yo ke yo se LOUGAROU. Se menm jan ,MOUN ke yo konn jwenn apre 2 zou 3 ZAN ke yo di ke yo te mouri.Moun yo konn di ke yo t ap travay sou PLANTASYON ENTEL ou ENTEL. Ki sa ki anpeche la POLIS arête MOUN ki te fe LOT lan tounen ZONBI an ,apre bon jan ANKET. Se lan DEMISTIFIKASYON PRATIK sa yo ,ke w ap jwenn BOUT yo. M ap repete l anko.Pa gen MOUN ki pi VODOUYIZAN ke KIBEN yo.Yo rele RELIJYON yo an SANTERIA,men se menm PRATIK lan. Si pa gen prèv lougawou, gen prèv zonbifikasyon. Si genyen lejislasyon kont zonbifikasyon avèk ranfòsman, se deja yon gwo pwogrè. Sa pral konbat yon krim ke popilasion an tolere twòp. Kestyon lougawou an bezwen envestige tou pou demistifye yon pwosesis ki ta baze sou sipèstisyon ak malfezans. Gen moun ki pran pòz lougawou pou entimide e pou eksplwate inosan. Bagay LOUGAWOU an se pa ryen dot ke yon LEJANN FRANSE ,ke AYISYEN adopte. Pa gen DOUT lan sa ,jis lan 16 zyem SYEK ,se DESIME ke FRANSE yo t ap DESIME MOUN yo pa renmen ,lan AKIZE yo ke yo se LOUGAWOU. Ann AYITI pa gen "LOUP". Mwen kwe ke MO "GAROU" an se yon MO "CELTIC" ki vle di TRANSFOME. Kanta bagay ZONBI an ,genyen yo VRE ,MEN se pa yon bagay ki SINATIREL. Sa m vle di ,le yon MOUN akize yon lot te fe l tounen ZONBI ,pouki sa yo pa ankete sou sa ;ARETE MALFRA a e fout li lan PRIZON. LEGLIZ KATOLIK ,SITOU LEGLIZ PWOTESTAN ,pa gen ENTERE pou yo TRAVAY sou DEMISTIFIKASYON sa yo ,paske yo VIV,yo PWOFITE de yo. Ann AYITI ,jis jounen Jodi an ,ou tande MOUN ap konveti ,antre lan PWOTESTAN pou pwoteje yo kont MOVE LESPRI. Mwen dakò ke leta ayisien ta kapab envestige e pini pratik zonbifikasyon lan peyi a. Men se pou kanpay edikasyon retire sipèstisyon lan tèt popilasyon an. Lan Lagrandans, lè m te timoun, yo te konn di jij de pè lan vil lan se chéf lougawou tou. Tout chèf seksyon lan rejyon riral yo se te bòkò (gangga) oubyen lougawou. Istwa ak lejann lougawou komanse lan peyi scandinav yo. Li pase la Ongri ak peyi Balkan yo. Popilé ann Almay rive an Frans. Jiskounyea lan Lapoloy yo kwè lan sa. Sipèstisyon sayo pwopaje lan Amerik, Karayib. Li menm penetre lan tribi endyen Navajos, etc. Yo kwè lan lougawou lan Kiba. Mwen konnen moun SentLisi kwè lan Obyea ki se menm bagay ak Vodou pa nou an. Pouki sa FRANSE ak DESANDAN FRANSE pa kwe lan LEJANN sa yo anko? Ann AYITI ,lejann sa yo kontinye la koz MOUN mouri wi. Mwen t ap li yon seri de ISTWA ke yon PWOJE GOUVENMAN AMERIKEN an te DOKIMANTE lan LETA INDIANA. ETA sa a ,anvan NAPOLEYON te vann AMERIKEN TERITWA lan sa yo rele "LOUISIANA PURCHASE" lan ,se te KOLONI FRANSE. Ou li tout bagay sa yo ,lan ISTWA DESANDAN FRANSE yo ap rakonte. Pwoblem lan ,se ke jenerasyon kounye an ,konnen bagay sa yo se lejann lan TERITWA ke FRANSE yo te kolonize;ann AYITI se bagay ki fe ke yo kontiye ap LENCHE MOUN toujou! Les contes surnaturels recueillis dans les années 1920 par Mlle Anna C. O'Flynn, qui a enseigné l'école pendant de nombreuses années dans l'ancienne section française de Vincennes, sont les suivants: loup-garou et autres contes surnaturels. Ils ont été transcrits et édités par moi à partir du manuscrit inédit de WPA de Vincennes intitulé Les Pionniers créoles à Old Post Vincennes: un produit du District # 5 du Bureau des Auteurs Fédéraux (Bureau de Vincennes) , par Doyle Joyce, Loy Followell, Elizabeth Kargacos, Bernice Mutchmore et Paul R. King, vers 1937. Les contes furent racontés à Mlle O'Flynn par le descendant français Pepe Boucher, qui favorisa l'utilisation du dialecte créole français. NOTE: Voir American Life Histories: Manuscrits du Federal Writers 'Project, 1936-1940 pour 2 900 documents WPA en texte intégral, y compris ceux de l'Indiana. Le manuscrit de Vincennes ne semble pas encore figurer parmi ceux énumérés. Ce qui suit est un article de journal réimprimé concernant l'intérêt de la vieille française pour les contes de sorcellerie à Vincennes. Sa fè plezi recevwa yon pòs ke w ekri. Sa fè lontan ma p sonje w.
Ann AYITI,apre MOUN tande ISTWA sa yo ,reyaksyon yo konn se "GENYEN WI"
Pa "GENYEN" vre ,bagay sa yo se FOLKLO,Istwa ki pase de JENERASYON an JENERASYON ak kek MODIFIKASYON. Ann AYITI ,LEGLIZ yo KATOLIK,PWOTESTAN,VODOU eksplwate FOLKLO sa yo. KATOLIK e sitou PWOTESTAN eksplwate "tall tales" sa yo e mete yo sou do VODOU. Se de bagay ki pa gen anyen pou we ak VODOU;se de ISTWA ki soti an FRANS. Pwoblem lan ,tankou mwen te di l deja,yo kontinye ap LENCHE MOUN paske yo se LOUGAWOU;yon LEJANN ki pa gen ABSOLIMAN anyen pou we ak REYALITE!!!!!!! Mwen pa konnen ki sa pou m panse de ti "komante" w la.Si se yon bagay POZITIF ,NEGATIF ou ki sa. TRADIKSYON mwen mete an ,se yon "GOOGLE TRANSLATE",mwen pa korije anyen. Men ki jan GOOGLE (ENSTANTANEMAN) TRADYI ATIK lan an KREYOL AYISYEN. Sa ki anba la yo se loup-garou ak lòt istwa Supernatural kolekte nan ane 1920 yo pa Miss Anna C. O'Flynn, ki te anseye lekòl pou anpil ane nan seksyon an fin vye granmoun franse nan Vincennes. Yo te transkri epi yo te modere avèk manti nan men Vincennes WPA maniskri ki rele Pioneers kreyòl (franse) nan Old Post Vincennes: Yon pwodwi nan distri pwojè federal 'Writer 5' (Biwo Vincennes) , pa Doyle Joyce, Loy Followell, Elizabeth Kargacos, Bernice Mutchmore, ak Pòl R. King, apeprè 1937. Kont yo te di Miss O'Flynn pa franse descendant Pepe Boucher, ki te favorize itilize nan dyalèk franse. REMAK: Al gade nan istwa lavi Ameriken yo: Maniskri Soti nan Pwojè Ekriven Federal yo, 1936-40 pou 2,900 dokiman plen tèks WPA, ki gen ladan anpil nan Indiana. Vizit maniskri Vincennes yo poko sanble yo pami moun ki nan lis yo. Sujet: Re: 3senatè ayisien ale Benin pou envestige kijan yo trete ka zonbifikasion.